Luke Kavanagh always thought his gorgeous Afghan hound Tea was ‘far too pretty to keep at home’. He reasoned her beauty, those black long locks, should be appreciated. But even he was a bit surprised when Tea’s picture he posted on social media was shared 1 million times… “I guess people were mostly drawn to [the photo] because of her silky coat coupled with that dignified look that Tea has, but that’s just her being her”, Kavanagh told NewsLocal. After Tea became an Instagram sensation, Kavanagh was approached by a dog food brand Royal Canin who asked if she would be their ‘spokesdog’. She also booked herself a gig in an ad campaign for Harriot and Hounds dog perfume. “Even our weekend walks draw a crowd. She pretends she doesn’t need the attention, but she definitely loves it, just like any supermodel.’ But other than a few jobs here and there, Kavanagh says Tea is already in retirement. ”I reached a point where showing (grooming and show day) was taking me away from spending time with my family and I want to prioritise them over campaigning my dog”. 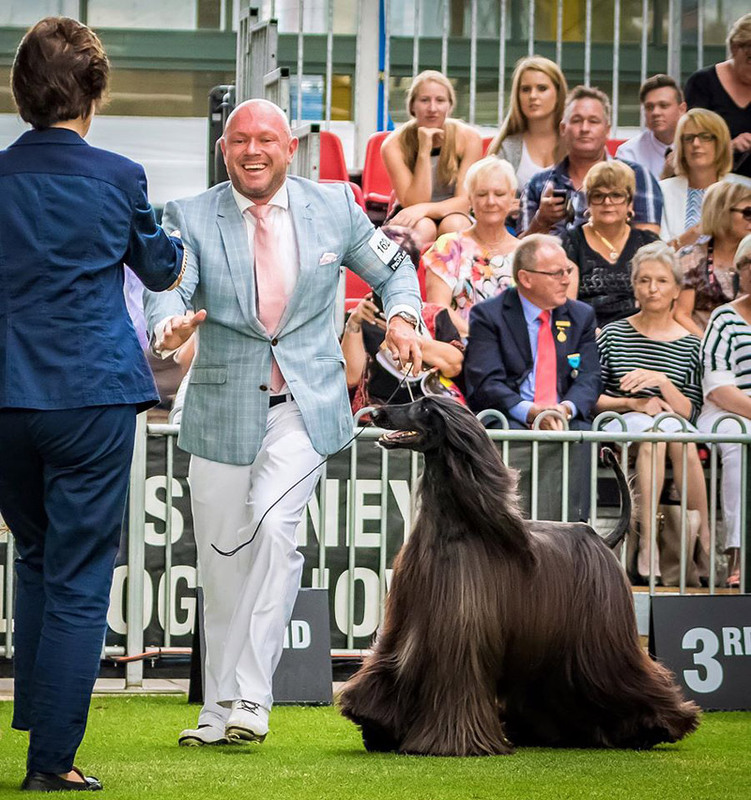 Nowadays the father-of-two is focused on his two Staffordshire terriers, as the maintenance of their short hair is way lower, taking less time to prepare for dog shows.